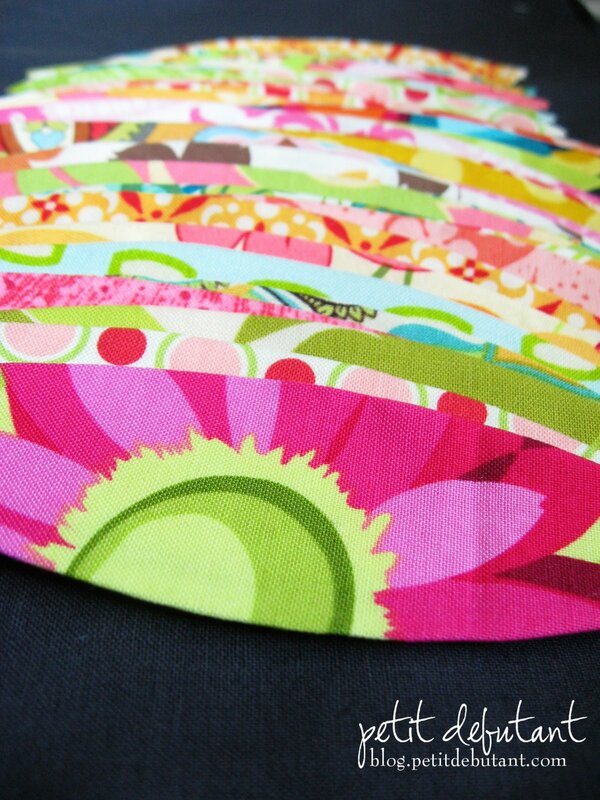 I've made some progress on the petals for the Jacob's Coat Quilt Along. Some progress but not much, which is better than none at all. 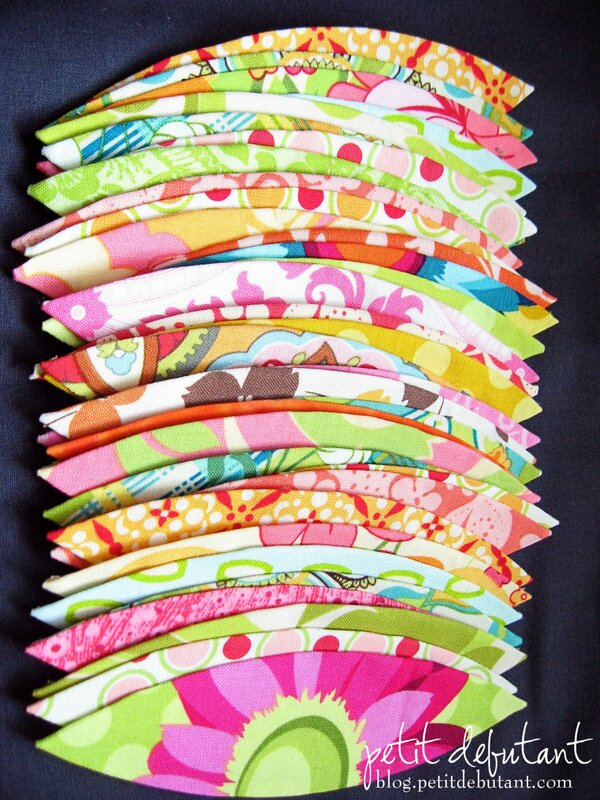 I've made 36 of 637 petals needed for the quilt top. I wasn't planning on hand stitching these to the background. I was planning to do it using Harriet Hargrave's machine applique method. Except that I just realized that my favorite stitch for that method was on the sewing machine I sold to my SIL. I guess I'll have to play around with the stitches on my Kenmore to see if I can find a substitute. Do you have a photo of the stitch? I want to see it, you have my curiosity stirred up. Oooh, Norma, I love all the colors and fabrics you chose for your quilt. That is going to be absolutely gorgeous! Can't wait to see your progress.